We wish you good practice! In 1928, in the territory of modern Pakistan, archaeologists discovered this soapstone seal. It is about 4,000 years old and, according to many Indologists, it depicts Shiva, meditating in Bhadrasana. 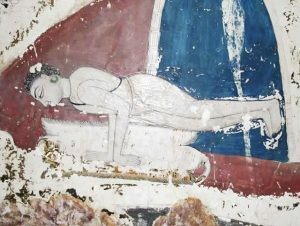 Apparently, this is the most ancient evidence of the Yoga practice. 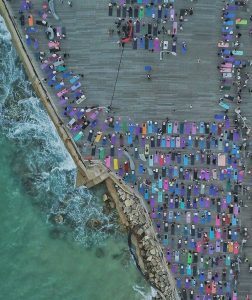 If you feel there is insufficient space in the yoga hall, and you increasingly want to replace the ceiling with the sky, then it is time to go outside. The absence of clear external limiters will expand your inner horizons and bring a wonderful feeling of newness into your practice. The fresh air will give your breath a new quality. Connecting with the Earth will return you to reality and recharge your energy. The beauty of nature will soothe and inspire. Vasisthasana (or Side Plank) is a powerful and challenging arm balance that requires strength, flexibility, and balance. Overflowing with benefits, this posture strengthens the wrists, arms, shoulders, core, and legs while simultaneously stretching the hips, groins, and hamstrings. A quintessential yoga pose of both strength and flexibility, Vasisthasana also requires balance, concentration, and grace to practice with ease. As with all yoga poses, a keen attention to the breath creates stamina in this difficult asana. How does yoga affect our eating habits? Once yoga becomes part of your lifestyle, your body will start to change at a deep level. Regular practice of asanas and specific breathing rhythms bring your body and mind into balance; it improves the functioning of the digestive organs, normalizes the excretory processes, and stabilizes the functioning of the endocrine system glands. The toxins accumulated in the body over years will be gradually removed. In addition, yoga practice restores the nervous system and brings about a balanced state of mind. 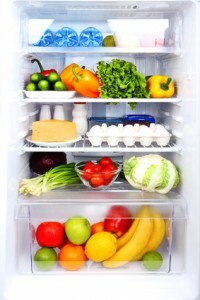 When you are calm and healthy, you do not stuff yourself with unhealthy food to get rid of stress. Asanas give a sense of inner lightness, and it is unlikely that someone would want to change this condition. A medium-build person doing classic yoga burns an average of just 150 calories per hour. We have slightly higher figures when it comes to the dynamic styles or hot yoga – around 300 calories, but this amount of energy expenditure hardly compares to what we can get even from regular brisk walking. However, it’s known for a fact that, from a weight loss perspective, exercise is only 20% of the equation, the rest being nutrition. 80/20 is the primary formula for those keen to lose weight, with yoga capable of doing most of the management thereunder. When we roll out a yoga mat for practice, it’s usually because we seek stability. Stability in the body as we play with balance and gravity, but, perhaps more importantly, stability of the mind. A steady yoga practice is a refuge, a sanctuary, and a grounded force for daily life. In a world that can feel erratic and unstable, yoga offers a reliable source of peace. Utthita Trikonasana (Extended Triangle Pose) is a beautiful manifestation of that safety, represented in a single, solid pose. Yoga is a process of self-discovery which can be intimidating as much as it is freeing. Within that journey, Trikonasana is a grounding force that can be relied upon. Sutra 2.46 of Patanjali says: “Posture (asana) [should be] stable (sthira) and comfortable (sukha).” There is no better place to explore this power of comfortable stability than in Utthita Trikonasana. Shoulder stand is a mysterious pose. Scholars make an educated guess that it’s been with us since at least pre-modern times. 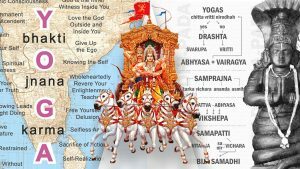 By its Sanskrit name, Salamba Sarvangasana, we can date it only back to 1934, where we read about in Tirumalai Krishnmacharya’s book, Yoga Makaranda. But, if Salamba Sarvangasana is the same pose as Viparita Karani — mentioned in the 15th century Hatha Yoga Pradipika — it has been with us for many centuries. 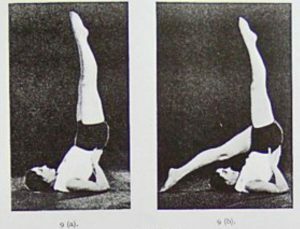 The earliest picture we have of the pose by this name is fairly late — but it looks alot like Shoulderstand (in its “unsupported” form). We see that picture in the March, 1898 New York Herald (Figure 1). Adho Mukha Svanasana, or Downward Facing Dog, is likely the most ubiquitous pose in the entire yoga practice. 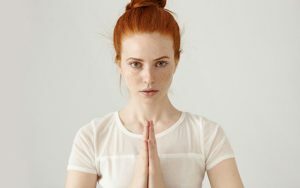 Utilizing the full body, creating both strength and flexibility, it is really no wonder that so many differing schools and styles of yoga have adopted this all-encompassing posture into their disciplines. A forward fold and a spinal neutralizing pose, Down Dog works to create length in the back body while simultaneously strengthening the arms, back and core. But even beyond just the physical, Adho Mukha Svanasana is often used as a ‘resting’ pose between other more challenging postures to both relax the mind and restore the breath. 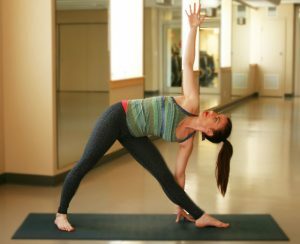 Allowing practitioners to draw their attention inward, this pose provides the perfect space to bring meditation into the physical asana practice.